This truly holistic, luxurious treatment was created in the 1960’s by Elisabeth Sigmund, a nurse and cosmetologist. She recognised the skin as a living organ, creating a treatment which would respect that fact. The Dr. Hauschka Treatment and skin care preparations are designed to support the natural functions of the skin – not fight them. Re-awakening the lymphatic system through effective and unique techniques, we work to actively care for the skin, to soften and slow down the signs of ageing. Strengthening our skin is crucial, and for this treatment, a specific Rhythmic Conditioner is applied in combination with a specific treatment mask to feed and rejuvenate the skin. This also offers strength and support for the elasticity of the skin. 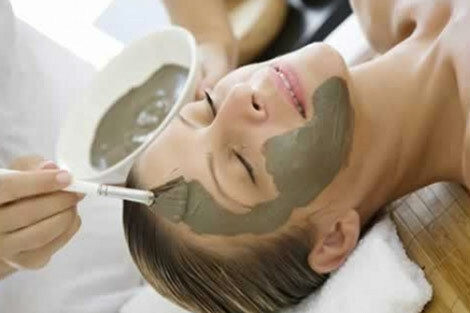 This treatment revitalises your skin, leaving it feeling smoother, firmer and rejuvenated. The Dr. Hauschka Clarifying Treatment is suitable for acne and rosacea skin conditions. The products and treatment work together to support and harmonise the skin’s natural processes. To ensure effective treatment of acne conditions, the skin is cared for by re-awakening the lymphatic system. This is achieved through the unique application of specific techniques.Encouraging the skin to function normally is crucial. To achieve this, an Intensive Treatment preparation is applied, in combination with a personalised treatment mask, to allow healing normalisation of the skin.Following your initial consultation and treatment, your esthetician will prescribe a suitable treatment and home-care plan for you. She will then continue to guide you and monitor your condition, providing the necessary advice and support throughout your programme. Dr. Hauschka Facial Gymnastics will teach you the exercises relevant to your skin’s needs. Like doing sit-ups for your tummy, exercises for your face can have a profound effect on the vitality of the skin and improving the muscle tone of the underlying structure of the face. The skin contributes to the appearance of the face through firmness and complexion. These two factors both rely on good skin tension, good circulation and nutrition. Good circulation ensures that nutrients get to the skin, which in turn maintains good elasticity. After a thorough consultation, your esthetician will plan the appropriate facial exercise programme for you and then take you through each exercise very carefully, so that you can confidently perform the exercises at home. The Dr. Hauschka Hand Treatment revitalises your skin leaving it feeling softer and smoother. This treatment is especially helpful for tired, aching joints, dry hands and dry, flaky nails. It begins with a full client consultation and a warm Dr. Hauschka hand bath. A gentle treatment to the cuticles is followed by a revitalising and cleansing treatment to the hands. This continues with a massage using unique rhythmical movements together with one of the six specially blended Dr. Hauschka Body oils. Whilst a deeply nourishing mask is applied to meet the needs of the skin, time is taken to rest. 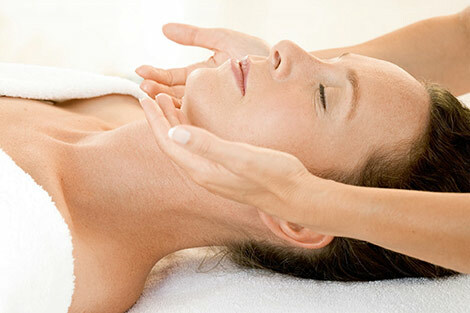 The treatment concludes with warm compressing with aromatic water and application of Dr. Hauschka hydrating hand cream. Wellness begins with our feet. The Dr. Hauschka Foot Treatment not only nourishes your feet and legs but leaves you with a feeling of lightness and well-being. The treatment begins with a footbath. Gentle stretching and relaxation movements combined with quality touch and flowing movements create a conscious stimulating experience. Dr. Hauschka preparations are applied to your feet and legs, then a nourishing mask completes the treatment. The Foot Treatment is a revitalising treatment, especially helpful during pregnancy for swollen puffy, ankles and tired aching feet. Following a consultation and Sage foot bath, beautiful warm fragrant compresses are applied to your back which immediately helps relieve tension in the shoulders and lower back. This is then followed by the press and roll application of the almond based Cleansing Cream in preparation for the deep cleanse with the purifying plant concentrate and clay mask preparation. The treatment concludes with the application of a specific treatment ampoule to support the skin and finally one of the five special Dr. Hauschka Body Moisturisers.This is then followed by the press and roll application of the almond based Cleansing Cream in preparation for the deep cleanse with the purifying plant concentrate and clay mask preparation.The treatment concludes with the application of a specific treatment ampoule to support the skin and finally one of the five special Dr. Hauschka Body Moisturisers.